Lunch just got a whole lot better! This Glorified Tomato Cheese Melt is my husband's new favorite dish in the middle of the day! 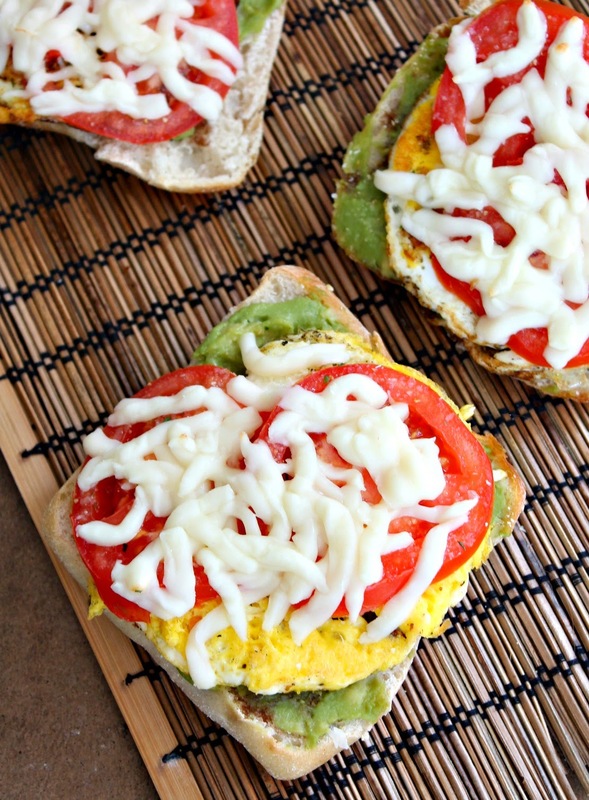 If you love the traditional tomato cheese sandwich, you are going to love this! Place your rolls facing up on a cookie sheet. Add your guacamole to each one and spread it evenly. Add an egg on top, along with 2 tomatoes, then add your cheese on top. Place your cookie sheet in the oven for 2 minutes (no longer!) I would check on it at about 1 minute to see how it is coming along. Cook until the edges of the bread start getting a little brown and the cheese is melted.